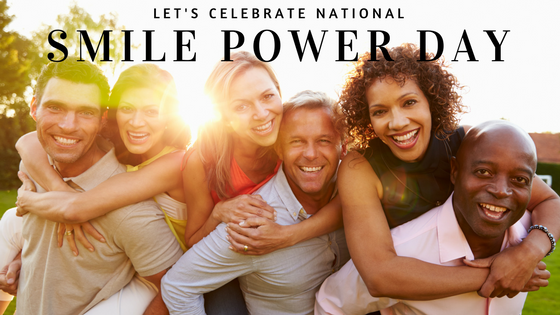 Today is National Smile Power Day – so it’s time to start smiling! Smiling can boost your immune system by making your body more relaxed. Forcing a smile can put you in a better mood (mind over matter)! Smiling is a universal sign of happiness. Babies have to learn almost everything, but they are born with the ability to smile. Smiles are proven to make you seem more attractive, confident, and social. This Midlife Crisis is Just a Game: Want to Play? Wherever your day takes you (or has taken you) today, just remember to smile and that everything really will be alright.